Unpretentious beauty in a simple tunic shape, the Bree is our interpretation of a timeless, elegant style staple. Free flowing design styled with inverted pleats below the button placket, under the armholes and at center back- shaped side slits for even more movement. Pair with our slimming leggings! 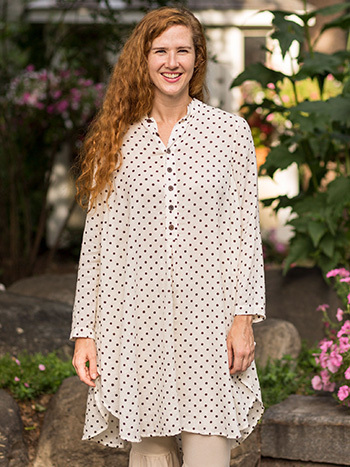 The tunic looks good while being very comfortable and easy to wear.